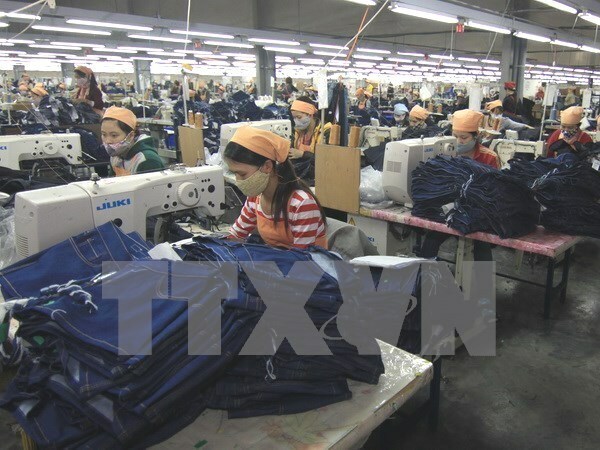 Dong Nai (VNA) – Foreign direct investment (FDI) inflow to the southern province of Dong Nai in the first seven months reached nearly 974 million USD, representing 79.4 percent of the yearly plan, according the provincial Industrial Zone Authorities. Of the figure, 284 million USD was registered to 45 new projects and the remaining 509.6 million USD went to 66 existing projects as registered additional capital. FDI projects mostly went to Bau Xeo Industrial Zone (IZ) with two projects worth of 115 million USD, said the authorities, adding at Nhon Trach IZ attracted 12 projects valued at 42.7 million USD, among others. To date, 32 industrial zones in the locality has welcomed 1,548 projects worth 21.6 billion USD from 42 countries and territories. In the reviewed time, Dong Nai province also drew over 2.8 trillion VND (126 million USD) of domestic investment. The sum came from 10 newly-licensed projects worth of 2.57 trillion VND (113.3 million USD) and three existing projects with additional capital valued at 290 billion VND (12.7 million USD). To date, total investment of domestic projects in Dong Nai has reached 50.5 trillion VND. The projects licensed in the last seven months are in high technology, supporting industry and green technology, said the Authorities, adding that they are in line with the province’s policy to prioritise hi-tech projects.